• On 16th of May 2015, (few hours later) Proton-M Launch Vehicle with a commercial payload (Mexican Government MexSat-1 satellite) experienced loss of the mission due to premature shutdown of third stage propulsion system. Progress cargo vehicle is derivative of manned Soyuz spacecraft and launched atop of either Soyuz-U or Soyuz-2.1a launch vehicle. Progress M-27M was the 123rd Progress spacecraft mission since its maiden flight in Feb 1978. • Progress 7K-TG (11F615A15): 42 spacecrafts flown during 1978–1990 to resupply Salyut-6, Salyut-7 and Mir Orbital stations. to resupply Mir and ISS Orbital stations. • Progress-M1 (11F615A55): 11 spacecrafts with extra propellent in payload flown during 2000-2004 to resupply Mir (4 missions), deorbit Mir (1) mission and resupply ISS (6 missions). • Progress-M (11F615A60): is a current series still in production since maiden flight. In a typical mission Progress would supply ISS with dry and liquid consumables, water and propellant for the ISS Zvezda module. Progress propulsion module used to boost the orbit of the station, and after closure of ESA ATV cargo vehicle program, Progress is only remaining spacecraft with such capability. Aftermath: On 18th of May Russian mission control was able to reboost ISS altitude by 2.8 km after firing Progress M-26M engines for 1,922 seconds. Orbit correction burn took twice longer than planned – mission controllers fired only 4 thruster of 8 according to standard operation procedures. This created optimal conditions for Soyuz TMA-15M landing on 11th of June and rendezvous with the next cargo vehicle in mid-July. Russian mission control plans to use Progress M-26M again for the next orbit reboost. By original design Soyuz-U (rocket that launches Progress spacecrafts), Soyuz-FG (man-rated rocket that launches Soyuz spacecrafts with a crew) and Soyuz-2.1a (new generation Soyuz rocket) share that same third stage (Block I). All of those launch vehicles had been designed and manufactured in Samara Rocket Space Center PROGRESS, while propulsion system for third stage (1 x RD-0110) designed by KBKhA and manufactured by VMZ (both in Voronezh). • 21 May 2009, Soyuz-2.1a/Fregat LV, payload Meridian 2 satellite – premature shutdown of the third stage led to loss of mission (satellite was placed on non-usable orbit that had not been corrected by Fregat space tug). • 24 Aug 2011, Soyuz-U LV, payload Progress M-12M, mission loss was caused by a blocked fuel duct, which caused the engine on Block I to shut down prematurely . In case of Progress M-27M launch, preliminary data indicates that things went wrong just seconds before separation, apparently depressurisation of third stage oxygen and fuel tanks caused collision between stage and spacecraft, sending it uncontrolled spin to the orbit with higher apogee. Russian mission control was not able to regain control of spacecraft and it reenter Earth’s atmosphere on 8th of May. The cost of the loss of the mission was valued at RUB 2.59 billion (US $50.7 million). • Although Progress M-27M achieved low-earth orbit, it become a second cargo vehicle (along with Progress M-12M) that was not able to complete it mission. • Liquid propellant rocket engine RD-0110 is not a brand new engine. Since it become space worthy in 1965 and fully certified in 1967 it had been successfully flew for more than 1,500 missions on almost all modifications of Soyuz rockets (except Soyuz-2.1b and Soyuz-2.1v); Apparently there is an alarming breakdown in quality control process, however we should wait for investigation board final report that should reveal a root cause. • All of above launch vehicles from Soyuz LV family would remain grounded pending the results of the investigation into the failure by Accident Investigation board. • Impact on ISS operation schedule Progress M-28M return to flight mission is tentatively scheduled for 3rd of July (originally planned for August) and it would be launched on top of Soyuz-U launch vehicle. • Impact on ISS operation schedule for manned missions – ISS mission planners delayed the Soyuz TMA-15M landing till 11th of June and Soyuz TMA-17M launch until July. • Progress M-27M was a second spacecraft launched on top of Soyuz-2.1a launch vehicle. 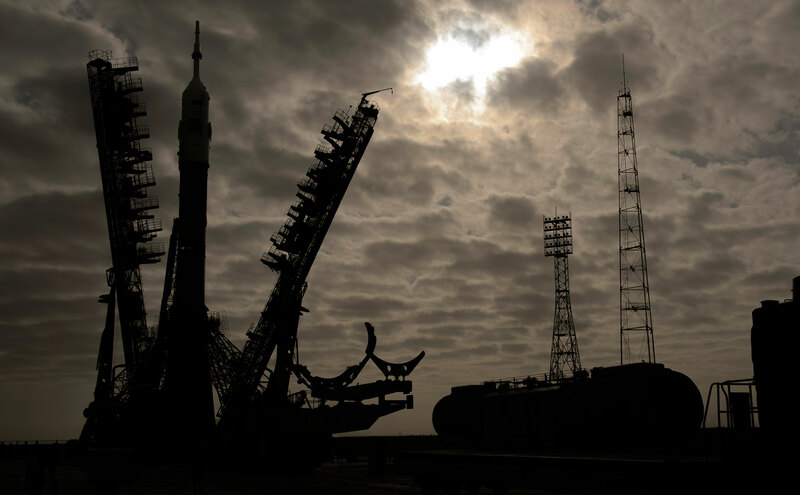 Further delay in certifying Soyuz-2.1a to launch cargo Progress and manned Soyuz spacecrafts should be expected (as well as subsequent delay in planned decommissioning of Soyuz-U and Soyuz-FG launch vehicles). • Next attempt to launch cargo supply mission on top of Soyuz-2.1a LV (maiden flight of new Progress-MS spacecraft) is tentatively scheduled for this October. By original plan all of Progress-MS spacecrafts should be launched on top of Soyuz-2.1a, while Soyuz-U LV should be decommissioned. • Human factor – based on board findings, Roscosmos would exercise an option to replace upper management of either RSC PROGRESS, KBKhA or VMZ. Proton-M is a major Russian Heavy-class Launch Vehicle designed and manufactured by Khrunichev Space Center (Moscow) and it is used for launching space station modules to LEO as well as commercial and government payloads to GEO. Proton and Angara-5 are only Russian HLV. May 2015 mission (marketed by Launch Service operator ILS) intended to deliver a commercial payload MexSat-1/Centenario satellite (Mexican government’s Ministry of Communications and Transportation), manufactured by Boeing Satellite Systems International (El Segundo, CA) into a geostationary orbit. • 5 December 2010, Proton-M upper stage and payloads (3 GLONASS satellites) failed to reach orbital velocity due to overloading of the upper stage with 1.5 tonnes of liquid oxygen, which was caused by communication error between engineers from Khrunichev and Energia. • 2 July 2013, Proton-M first stage control failure, rocket crashed near launch pad. Accident caused by angular velocity sensors wrongly installed upside down. • 15 May 2014, Proton-M failed during the operation of its third stage (vernier engine failure due to turbo-pump pipe leak), leading to the loss of a Russian communications satellite Ekspress-AM4R. Preliminary flight information from mission control indicates that the anomaly occurred during the operation of the third stage, approximately 490 seconds after liftoff at an altitude of 160 kilometers (100 miles). As a result both third stage and payload burned without any traces in Earth’s upper atmosphere. Proton-M third stage propulsion system consist of main propulsion engine RD-0213 and a vernier engine RD-0124. According to preliminary finding of the investigation board the fault was in the bearing of vernier engine turbo-pump. Vernier engine RD-0124 was manufactured at VMZ Plant (Voronezh). Proton-M LV “return to flight” mission might be postponed until Russian engineers would disassemble, verify and assemble engines to verify their quality before attempting launch, such process could take few month and ILS definitely would not launch any commercial payloads. A predecessor Proton-K launch vehicle had a healthy track record of 44 successful missions in a row, rendering claims that “rocket has a faulty design and should be immediately replaced by Angara” as quite naive and far-fetched. International Launch Service (ILS) a commercial subsidiary of Khrunichev Space Center decided to set up an independent investigation board into Proton-M launch anomaly in parallel with Russian state-appointed Investigation Board. • Under new management – for the last three years Russian government carried out a round of reforms in space industry by consolidating all industry assets into state-owned United Rocket and Space Corporation (ORKK) and merging it with Federal Space Agency (Roscosmos). • India decided not to cooperate with Russian Space Agency in joint Lunar lander mission, due to constant delays in mission timeline and high accident rate. • It is a serious blow for industry reputation, especially for commercial payloads. Russian space operators would be hit by bigger insurance premiums and most likely might lose their share of commercial launch market, that already shrunk in current political climate. • The majority of Soyuz and Proton-M launch vehicles still grounded until investigation boards would reveal findings of accidents. This would definitely would bring a further delay for 2015 missions. • Obsolete and underused manufacturing capabilities. • Obsolete design process without modern CAD/CAM systems. • Corruption and bad workforce morale. • Low salaries prevent attracting young graduates. • Personnel generation gap and loss of “Know How”. It’s not first time something wrong happening during mission launches, and unfortunately not last one. Space exploration was, still and would be a hard endeavour. The very nature of current state of affairs in Russian space industry just confirming how deep is system crisis – so far Russian space program did not recover since 90s but hopefully thing would became better in the nearest future. It’s pity that country that pioneered the very concept of Space exploration is falling behind of US, European Union, Chinese, Indian and Japanese space missions. For the most western observers Russia is unpredictable country, so there are good chances that Russian space program achievements would became a matter of national pride. • Surprising Soyuz 2.1a “return to flight” launch from Plesetsk (Kobalt-M DoD payload) on 5th of June 2015. • Soyuz 2.1b planned launch from Plesetsk (DoD payload, possibly Persona-class satellite) on 23rd of June 2015. • Progress M-26M spacecraft managed to successfully correct ISS orbit on multiple occasions. • Progress M-27M Investigation board concluded that major reason for mission loss was a catastrophic event during spacecraft separation from third stage of launch vehicle. RSC Progress would perform simulation of this process and would follow up with some changes in rocket design to guarantee delivery of Progress spacecrafts on Soyuz-2.1a LV. • Next Progress M-28M cargo mission was moved up from August to July 3, and was succesfully launched on the Soyuz-U LV (as planned). • Proton M Investigation board concluded that premature cutoff of the third stage propulsion system happened due to turbopump design fault in vernier engine dated back to Soviet times (1985) Roscosmos decided not to extend contract of KBKhA Chif Designer Vladimir Rachuk (who created cryogenic RD-0120 engines for Soviet Energia LV – analog of American SSME) holding him personally responsible for other team design choices. Voronezh KBKhA is a rocket engine company that created and supervised production of Proton-M third stage engines. • Roscosmos would publish Proton-M launch schedule in the beginning of July. 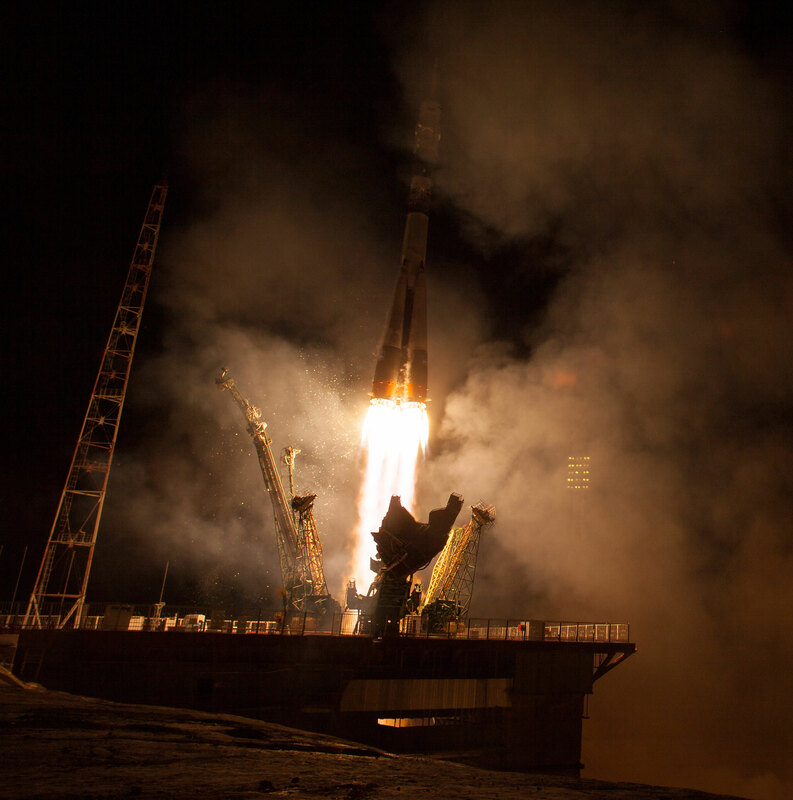 • Next manned mission for ISS on Soyuz-17M is planned to be launched in the end of July.